5K Run Walk to Honor Wounded Vets. 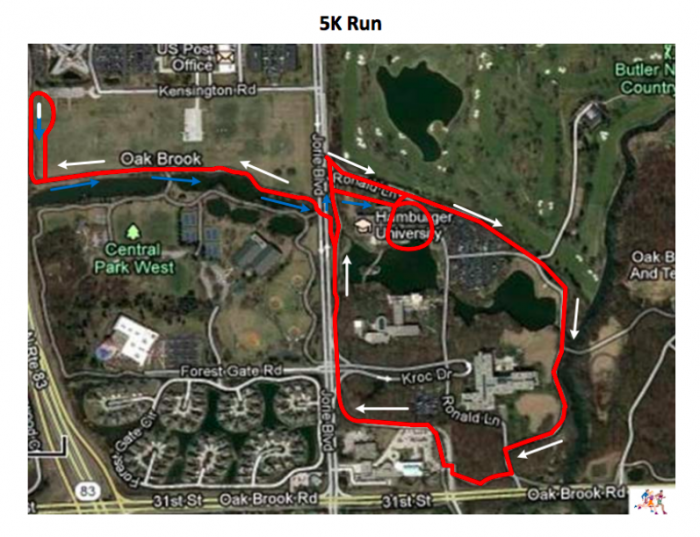 Run, Walk or Wheelchair this amazing course through the wooded grounds on the McDonald's Campus in Oak Brook. Not up for the challenge of a 5K, we will also have a 1 Mile Stroll. Enjoy music, a putting/chipping contest and much more! There is no registration fee for walking in the event. Please keep in mind that the Honor Wounded Vets 5K Run/Walk is a fundraising event and all participants are encouraged to raise additional funds. Our goal is for each participant to raise $100 in support of our disabled veterans. Those who do will receive a Honor Wounded Vets t-shirt. Visit the following website (http://www.fgagolf.org/honor-wounded-vets-5k-runwalk.html) to create your own fundraising page and start collecting donations now! You can also drop donations off at the FGA office located at 3203 York Road in Oak Brook. We will also accept donations the day of the event. If you or your organization have sponsored the event, enter your individualized sponsor code to avoid the registration fee for your team. Online registration closes at 12PM on Wednesday, October 25th. Onsight regristration welcome starting Sunday, October 29th at 7:45. We use a disposable chip timing tag for the 5K that is attached to the back of the race bib. It is lightweight and is covered by a foam strip. It must remain attached to the race bib. Runners MUST wear their race bibs on the front of their clothing in order to be timed accurately. The bib cannot be covered, holding it in your hand or putting it in your pocket will NOT read the chip. Do not bend the chip. If you have received a bid as part of your packet pickup, please keep it and we will reuse it for October 29th. Top three Male and Female Overall and top three Male and Female in the following age groups: 9 & under, 10-14, 15-19, 20-24, 25-29, 30-34, 35-39, 40-44, 45-49, 50-54, 55-59, 60-64, 65-69, 70-74, 75-79, 80 and over. Ample parking is available in the main lot adjacent from Hamburger University.